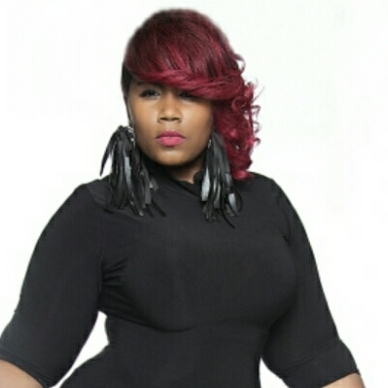 Chrisy, also know as Chrisy Chris, or @CurvyCurlyChrisy was born and raised in Memphis, TN. On June 1, 2014 Chrisy relocated to Atlanta,Georgia with no sense of passion, and no real purpose other than a change in scenery, but Chrisy has definitely made a name for herself in the city of peaches and world-wide! From celebrity blogging, macro brand influencing, social media marketing, music videos, online radio hosting, freelance modeling, stage plays, hosting gigs, speaking engagements, confidence coaching, on down to addiction counseling, Chrisy has had her curves in it all! On June 1, 2018, just 4 years after her arrival in Atlanta, Georgia, Chrisy launched her own brand titled the Curvy Campcation. The #CurvyCampcation is an annual retreat style extravaganza that promotes positive mental health and body positivity coupled with vacationing and amusement including a series of notable events for men and women. This year's first annual #CurvyCampcation took place in the Great Smoky Mountains of Gatlinburg, Tennessee, September 20-23, 2018. Follow @CurvyCampcation on Instagram for a glimpse of this year's fun and to stay current with us! Although Chrisy is known for her Curvaceous Audacious exterior online, she also professionally counsels women suffering from AOD ( Alcohol and other Drug) Addictions, and provides confidence coaching to men and women overcoming body shaming, bullying, and self esteem struggles, as she is a survivor of them all. Though Chrisy never suffered from addiction directly, she was indirectly affected by her mother's addiction for over 20 years of her life. In her spare time Chrisy enjoys social gatherings, swimming, outdoor activities, traveling, and trying new things; she is a lover of cheese fries and frozen margaritas. I'm always doing something. Thank you so much for your support!!!! I hear you Chrisy (one S) lol, looking forward to more. Yes. I will. Anything in particular? When I make millions...I'm gonna look for you. I follow you on IG. Just thought that I would check for your site. Very NICE!!! When you have a minute, feel free to check for mine. My IG is @CCGalatoire. I've never had ANY kind of surgery or alterations done to my body. Some of us are natural. I was blessed with a short torso that makes my waist smaller than the rest of my body. Keep up the great work young lady. I would like to be one of your ambassador, I grew up with alcoholic stepfather in home who tried to molest me ,caused alot of obstacles in my life. I just have to ask....how tall are you? how tall are you and how much weigh such a beautiful woman like you? I wrote a book, it comes out in September. You could use it to help your campaign. I would be happy to send you a copy to see what you think. Just need to know where to send. If somebody asked me to describe the perfect woman I would show them a picture of you, your body is amazing and it seems like you have a great personality. Chris je suis au Cameroun et je suis fan de toi , jaimerj'ai que tu viennes un jour visiter le Cameroun, je te ferai de bonnes photographies. Chris , je voudrais que tu viennes visiter le Cameroun ,je pourrais te faire de bonnes photographies,tu es très belle et tu es très sympa. teddymarkaurel@yahoo.fr est mon email.Je suis de mère Nigériane et de père camerounais. Et j'aime te voir . Je regarde ton Facebook et ton Instagram . Je suis l'un de tes admirateurs . Je te ferai la cuisine car tu es une reine.